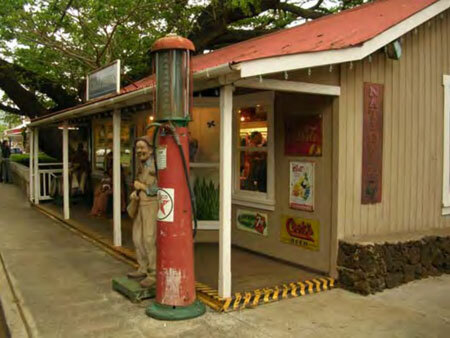 Built at the turn of the 20th century, The Yamamoto Building functioned at various times as a plantation camp store and general store with service station. Behind it, the Kōloa Hotel offered rooms to traveling salesmen and actors. The o-furo, or hot tub, provided a relaxing soak to guests. The large Monkey Pod tree that was planted by Howard Yamamoto in 1925 still stands today adjacent to the store.